Here we are using Windows Server 2008 R2 Enterprise hosts, with HP LeftHand/P4000 iSCSI Storage. 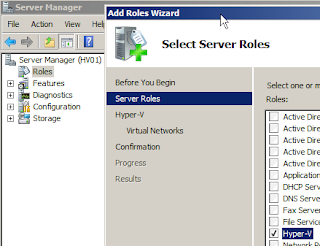 Create Virtual Networks - choose the Network Adapters to use for virtual machines. Note: It is recommended to keep management and iSCSI separate from the Network Adapters used for VM traffic.